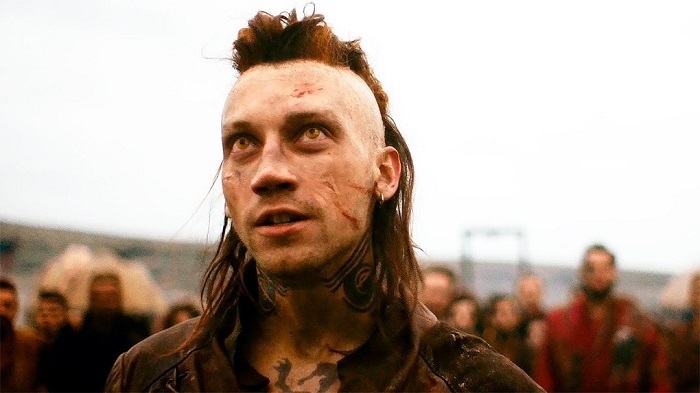 The Fantasia Film Festival’s 2018 installment has already had some incredibly strong entries this year, and while we can’t cover them all with full-length reviews , we still can’t let these Fantasia Fest gems to unremarked upon. It’s a cliche, but oftentimes less really is more. The Last Child, the new South Korean drama directed by Shin Dong-Seok, seems to prove that rule. After a terrific start as a slow-burn, meditative drama about loss, grief, and reconciliation, Dong-Seok ramps up the drama, a rather sudden gear change that ultimately hurts the film. The story follows a couple still reeling from the death of their son, who drowned saving another boy’s life. The grieving father, in an act of kindness, takes the boy his son died saving under his wing, attempting to instill some drive and purpose in the listless young man. For the first two-thirds of the film, The Last Child is a wonderfully understated meditation on the grieving process, one heightened by the excellent performances of its three leads. But there’s a sudden and almost disastrous shift when a revelation throws the central trio’s relationship into chaos. This causes the drama and tension to heighten, turning it into more of a thriller than it had been before and, paradoxically, less engaging. What was before a film of quiet, almost serene sequences and gentle but rich character moments becomes more overstated, more blatant, more urgent and almost melodramatic. Perhaps it’s just the sensation that the uplifting, feel-good ending the film seemed to be gently floating towards has been unjustly ripped from the viewers, replaced with something darker and more downbeat. But by the tense climax, it’s easy to miss those early scenes and that serene tone the film previously had. Thankfully, the performances and direction remain top-notch despite this jarring and unwelcome course change, with the three leads each giving stunningly nuanced and subtle turns. While the temptation to deliver a ‘big finish’ to close out the film, it’s worth remembering that bigger isn’t always better. The Last Child turns up the intensity on its character drama, but rather than make the film more compelling, it makes for a weak and even forced finale. A take-no-prisoners crowd pleaser bathed in blood and testosterone, Rustam Mosafir’s historical action-fest The Scythian is everything fans came looking for and more. Following the kidnapping of his wife and newborn son, clan leader Lyutobor is forced to team up a young warrior from the very same mercenary tribe that took his family, leading to a trek across the 11th Century Eurasia and a whole lot of murder for the unlikely pair. The Scythian certainly delivers on its promise of bloody, savage violence. As Lyutobor and his unlikely ally Marten make their way across the barren landscape, they come up against a number of opponents, from vengeful Mongols to a forest tribe, all of whom present enough of a challenge for visceral, hard-hitting action. Of course, the shaky-cam cinematography holds a lot of these action scenes back from true greatness, but Mosafir at least knows to keep the camera steady enough in key moments to let the truly gnarly action beats hit home. But more than its visceral action, the film succeeds thanks to a surprisingly clever script that deftly balances intrigue and character to create a world that, despite its savagery, wouldn’t be a bad place to visit again. The characters all feel fleshed out and cunning, possessed of enough common sense and cleverness that you actually find yourself rooting for them rather than rolling your eyes and poor decision-making. The plot takes several truly unexpected twists, and plays its more ridiculous moments with enough sincerity to be far more charming than you’d expect. It’s a rare film indeed that manages to effectively combine this kind of cleverness and deft screenwriting with over-the-top violence and action. The result, when you find such a thing, is a film that feels satisfying on multiple levels, one that refuses to cut corners or ask you to “leave your brain at the door”. Mari Okada’s debut film, a sometimes-sweeping fantasy epic, feels most effective and charming when focused on the smaller elements within its war-torn landscape. We open in Iorph, a serene land populated by blonde, willowy, perpetually youthful people, including our title character: the meek and easily flustered Maquia. But soldiers from a nearby kingdom, and their dragon-like mounts, arrive and throw Maquia’s peaceful existence into turmoil, rounding her people up. 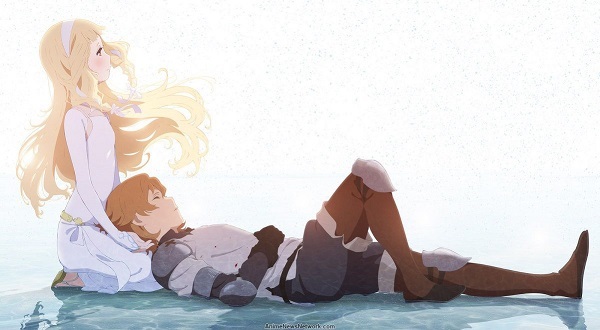 Maquia, while all this is happening, becomes stranded in a forest and reluctantly takes in an orphaned baby. The pair move in with a family of farmers, who help conceal Maquia’s true nature. At its very core, When the Promised Flower Blooms is a story about motherhood, with the added wrinkle that the mother in question ages and her adoptive son does not. Taking place over decades, the film attempts to address how such a relationship would function, as young Ariel goes from infant to young man to adult while his “mother” stays the same. The film works best when its focus is on this unique relationship, with the epic fantasy world and its political turmoil functioning as a backdrop to a much smaller and more intimate yarn. Unfortunately, it breaks from this focus for much of the third act, expanding hugely in terms of scope and scale and losing much of that intimacy in the process. Which isn’t to say the world at large isn’t interesting and very well-realized, but the film’s narrower focus felt more unique than what it largely becomes later on. But even when the film “goes big”, there’s enough visual mastery on hand to keep it engaging. The aesthetics are absolutely wonderful, with top-notch background, character, costume and prop design helping the world feel real and lived-in even at its most fantastical moments. Still, it would have been nice if the film had stuck to a narrow focus, emphasising the character drama over the larger-than-life action of the third act.